HGTV ranks new siding as the #1 way to increase a home’s value. Damaged, cracked or peeling boards can be an eye-sore and will greatly reduce the selling points of your home. Replacing your home’s siding with CertainTeed or James Hardie durable siding will improve not just the look of your home, but provide maximum thermal and moisture protection; help save on energy costs; and drastically reduce the amount of maintenance. You can also add personality with beautiful accents like trim, soffits, and window and door surrounds. If the gutters and downspouts on your home are old, chances are they’re starting to cause a few problems — like rust spots and leaks. 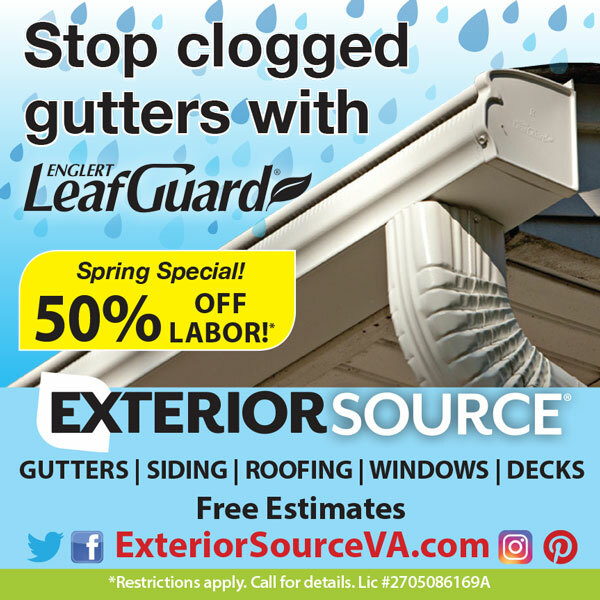 Exterior Source is the exclusive Englert LeafGuard rain gutters dealer in the Central Virginia, Charlottesville, Roanoke and Tidewater areas. We know the costly water damage headaches that come with non-functioning gutters. That’s why we only install the very best — LeafGuard. With LeafGuard you can “Get It. And Forget It” and, while new gutters may not seem like the most glamorous update to your home, it is certainly one that will pay off in the long run! Plus, they are guaranteed not to clog, or we’ll clean them for FREE. Energy efficient windows are a great way to improve your home and, according to Money Crashers, you can expect to recoup 60%-90% of your costs back. We offer Energy Star certified Soft-Lite replacement windows, designed to provide superior energy efficiency, beauty, durability, and are easy to maintain. You’ll immediately reap the benefits of upgrading to Energy Star by increasing the value of your home when you’re ready to sell. Learn more about our replacement window services here. Roof issues are one of the most expensive parts of homeownership because they can quickly compile into water damage and structure problems. A replacement roof will improve your home’s appearance while extending its value for years to come. At Exterior Source, we specialize in GAF Advanced Protection® asphalt roofing shingles which are rated #1 in quality and protection. Options like architectural and designer shingles will add a level of sophistication to your home, improving the look of your home now and its sale value in the future. A front door is the focal point of your home’s curb appeal and gives a sneak peek of the style that lies behind it. Our superior line of ProVia® entry doors are customized to work with your style and needs. Your front door should not just look good, but also provide security, insulation and performance. That’s why our ProVia® entry doors all come with expert installation and lifetime warranties. 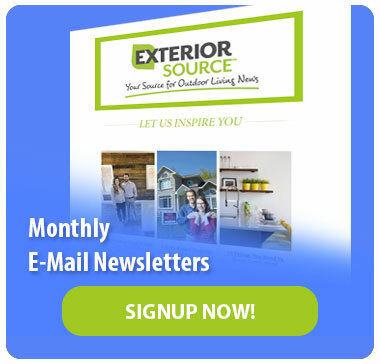 Ready to start improving your home? Contact us today for a free, in-home consultation on any of our services, including gutters, siding, roofing, windows or doors!